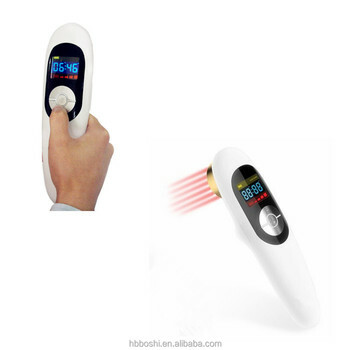 808nm Cold Laser Therapy Pain Relief equipments is belongs to laser product of 3R, please read the instruction carefully before using, knowing functions and contraindication of our product, ensuring the safe and effective use. 1. Preparation before treatment: Use warm water to clean skin first, Please keep away from hair and black nevus of your skin. 2. Turning on: long pressing the switch button, the screen displaying. 3. 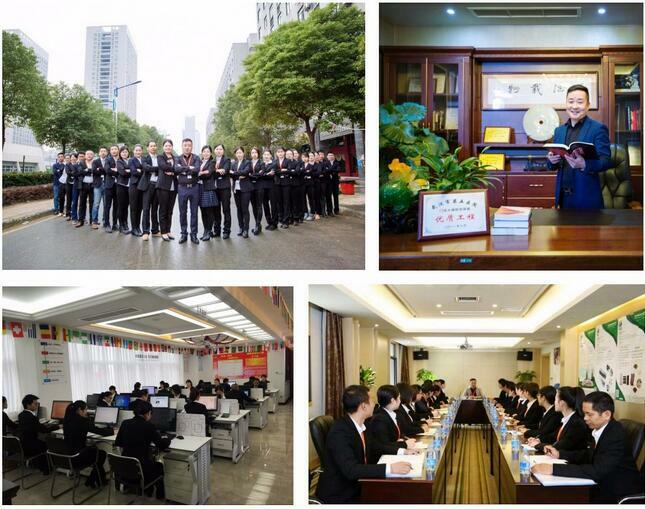 Selecting treatment time: pressing T button, there are 10/15/20/25/30 minutes optional. 4. 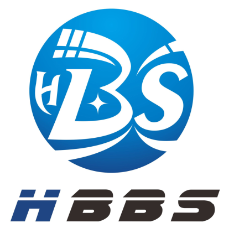 Selecting treatment power: pressing P button, there are 4 intensity can be adjusted. 5. Starting treatment: Again short press the switch button to start treatment, you will see the laser probes are emitting the laser light. Put the device to the pain area. 6. Turning off: long pressing switch button, indicated light turning out, the screen no display. 7. 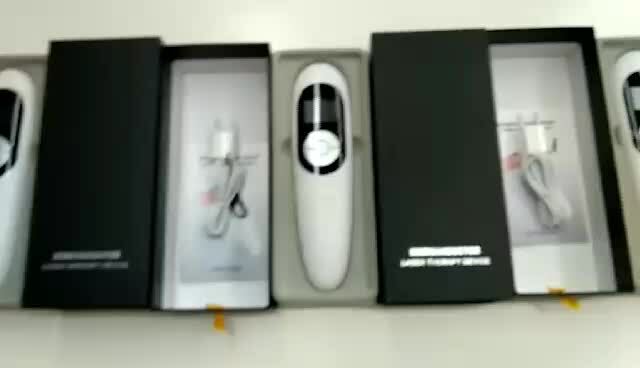 Charging: the instrument with lithium battery inside, when instrument have the invoice of “di,di,di”, please recharge, the each recharge time will be 8-10 hours: when the instrument is charging, please do not use. 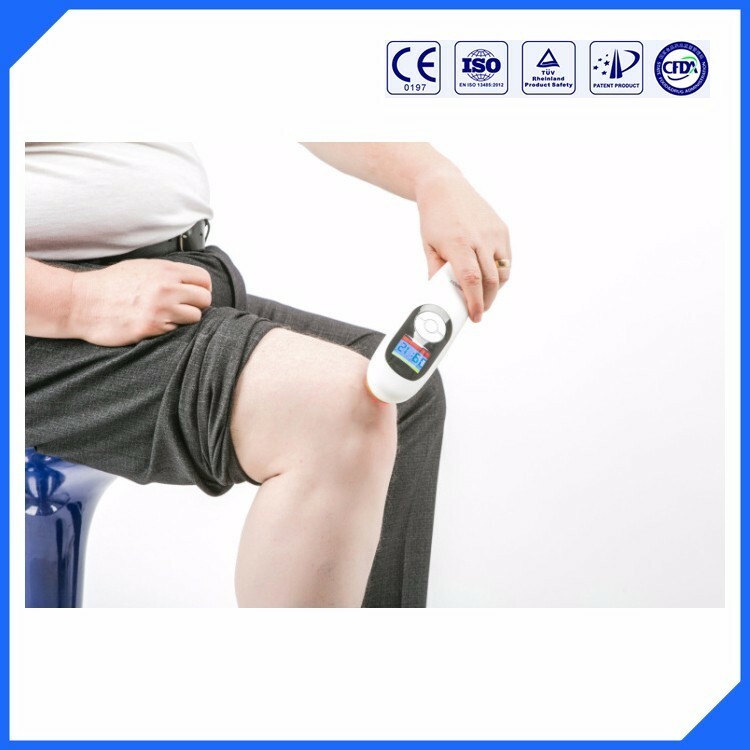 Handhold pain relief laser equipment is a low level laser therapy device, also known as a soft or cold laser. LLLT is a light source treatment that generates a coherent light of a single wavelength. It emits no heat, sounds or vibration. 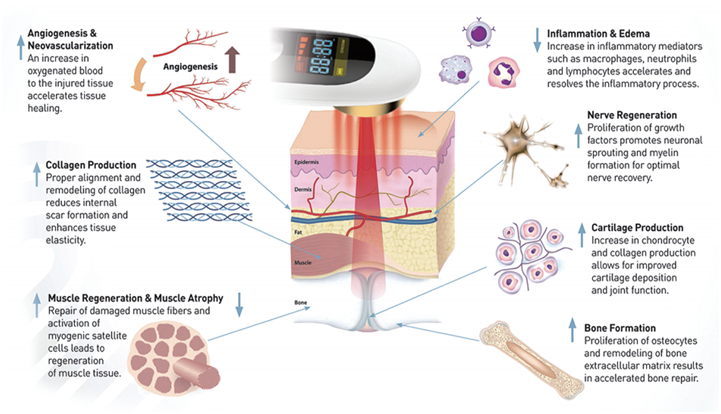 Instead of producing a thermal effect, the laser’s energy is used to penetrate the skin and timulate the body’s natural healing processes from deep within the tissue. The result; every cell in the treatment area receives the energy required to activate it’s internal repair function, thus enabling it to “ selfheal ”, which results in reduced pain and inflammation as well as repaid healing and cell rejuvenation. 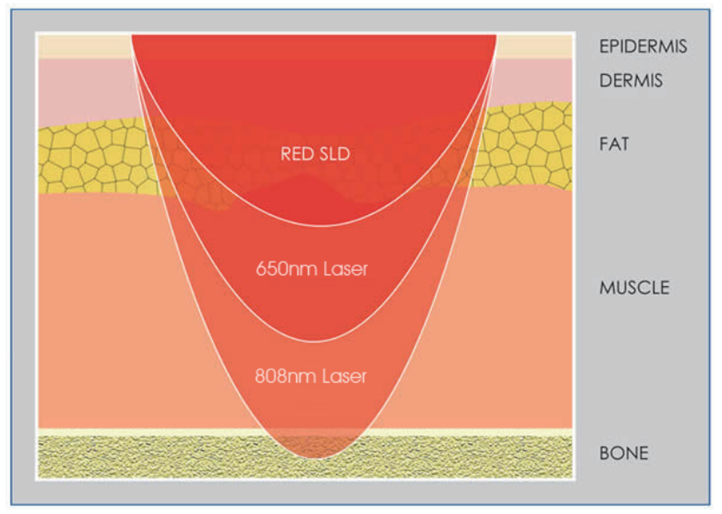 808nm, infrared laser can penetrate skin to 5-7nm, directly target the pain point in the deep area. 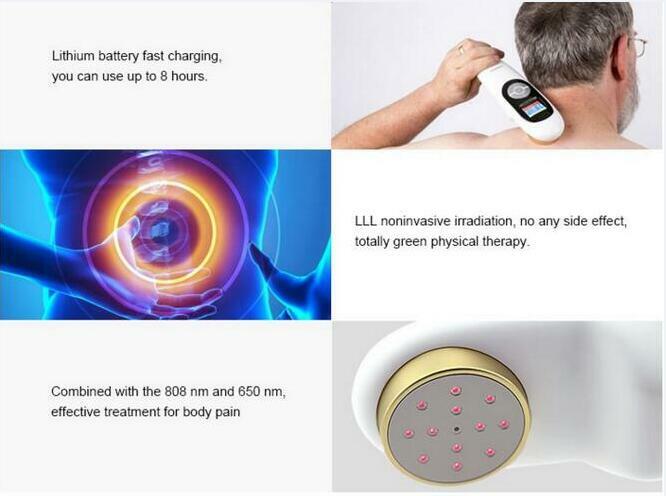 650nm, red laser can penetrate skin to 2-3nm, help to improve the blood circulation, anti-inflammatory the surrounding area of the pain point. 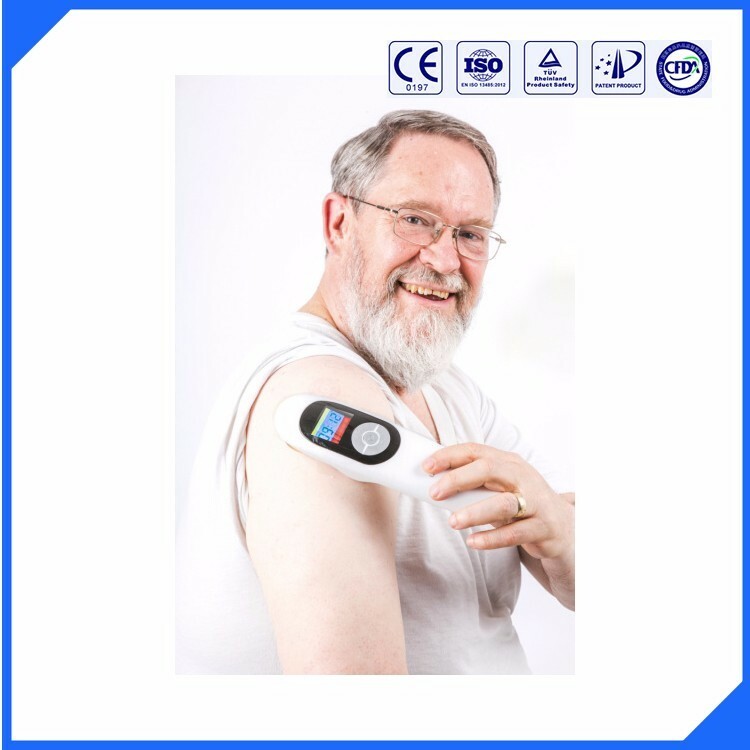 So 808nm and 650nm together will have better curative effect for body pain relief.